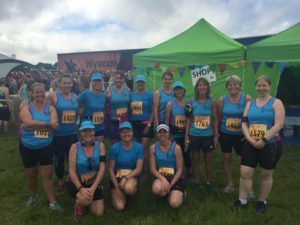 Welcome to Dorset Sole Sisters the friendly running club for women of all ages, shapes and sizes! club is based in Dorchester and Weymouth. 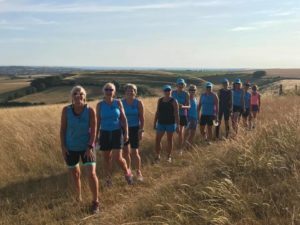 We usually run on Monday evenings in Dorchester and on Wednesday evenings in Weymouth. In the Summer months, some runs are in the Countryside. Have a look at our runs list for details. 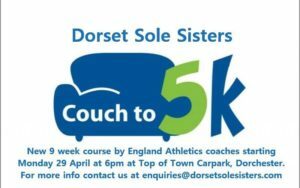 It doesn’t matter what standard you are – Marathon runner or a slow jogger – you will be welcome at Dorset Sole Sisters. No one is ever left alone. No matter how slow they are, there is always someone to run with you. Whatever your motivation – why not come along? Join us for a fun and motivated journey from couch to 5k over 9 weeks with graduation at Weymouth parkrun on the 29th June.